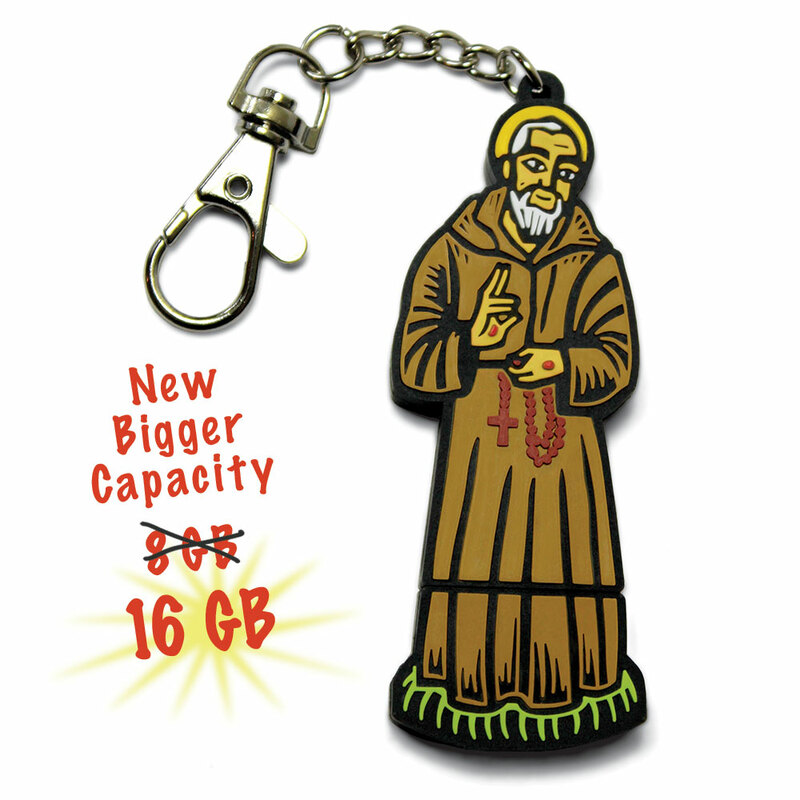 Saint Pio, in colorful and durable PVC, houses a 16GB flash drive and comes with a handy clip so you can bring this saint with you wherever you go. Saint Padre Pio was a Capuchin priest from Pietrelcina, Italy. As a child he was able to see and talk to Jesus, Mary and his guardian angel. He told everyone that he was going to become a priest and give his whole life to God. Eight years after he was ordained he became the first priest to bear the stigmata, the marks of Our Lord’s passion. Two other very interesting things about Saint Padre Pio were his ability to bi-locate and his repeated physical fights with the devil. 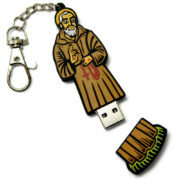 Saint Padre Pio was perhaps best known, however, for being a great confessor. He had a reputation for always giving the perfect words of advice, and had a disconcerting habit of ‘reminding’ people of sins that they had failed to bring up. People traveled from far away and waited for hours to go to confession with him. 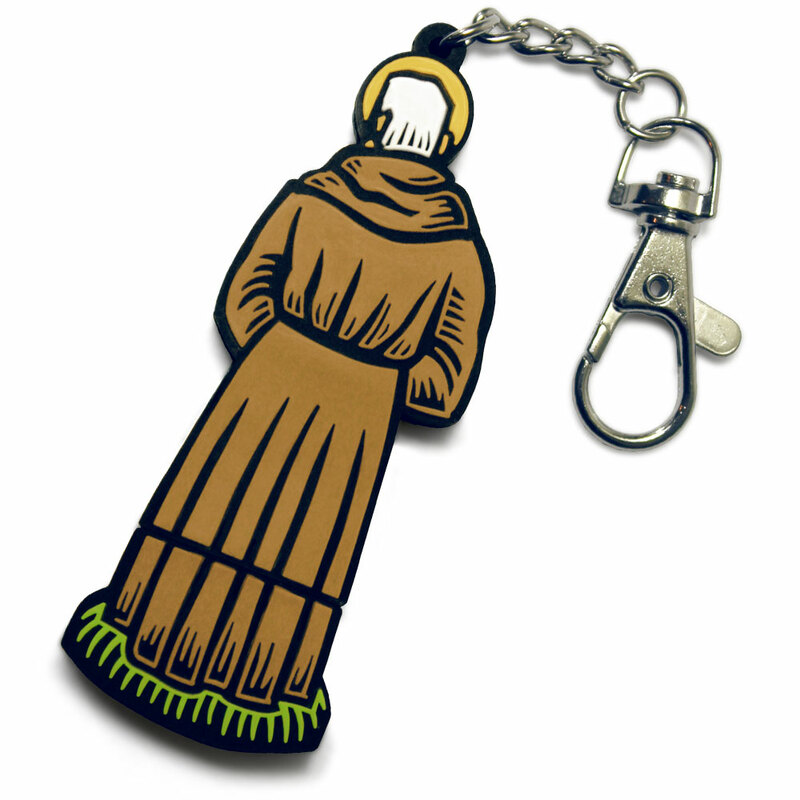 He was known to hear confessions for up to 16 hours a day. 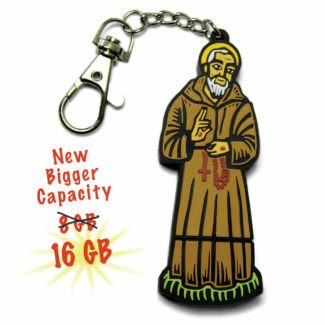 Saint Padre Pio died in 1968 at the age of eighty-one. His feast day is September 23.